Warriors produced a brave defensive display to claim their second away Gallagher Premiership away win of the season and four more priceless points. It was another heart-stopping affair but, in a variation to recent matches, Warriors led at half-time thanks to tries from Ted Hill, Ben Te’o and Josh Adams but then had to man the barricades in the second half before they completed the double over Bristol. In the end the accurate kicking of Duncan Weir proved ecisive as he converted all the tries and also slotted two penalties while his Bristol counterpart Callum Sheedy missed a long range penalties and a conversion and Ian Madigan was off target with a late penalty shot. Warriors also had to play 20 minutes of the match with 14 men as Niall Annett was sin-binned early on and Te’o missed the last ten when Warriors were at full stretch. Warriors made a sluggish start and were seven points down after five minutes. A penalty to the corner gave Bristol the opportunity to apply the pressure from two five metre lineouts and when Warriors took down a driving maul, referee Luke Pearce marched under the posts and awarded a penalty try. Warriors, who lost wing Bryce Heem in the build-up after his wife went into labour, were forced into a further reshuffle when Jono Lance suffered a head injury in the opening exchanges. But Warriors had experienced cover in Duncan Weir and the Scotland international’s accurate kicking proved decisive in reviving Warriors. A superb sustained attack was finished from close range by Ted Hill and Weir tagged on the conversion to level the scores after 15 minutes. Bristol responded with a well-taken try of their own when right wing Luke Morahan went over unopposed but Callum Sheedy was unable to add the conversion. Warriors response was quick and clinical. Another sustained attack stretched Bristol’s defence and created space for Ben Te’o to dot down with Weir again converting. Sheedy nudged Bristol back in front with two penalties in a four minute period but Warriors always looked dangerous with ball in hand and their crisp handling gave Josh Adams, back from helping Wales win the Grand Slam, scooted over with Weir making a difficult conversion look easy. Weir then banged over a penalty from just inside Bristol’s half to stretch the lead and Sheedy was unable to counter when his attempt from halfway on the stroke of half-time drifted right. Weir added another penalty early in the second half and then had a try disallowed after he appeared to have grounded the ball at the bottom of a post protector. But referee Luke Pearce consulted with TMO Rowan Kitt who ruled that Weir had knocked on. That proved to be Warriors’ last scoring opportunity and their resolve in defence was increasingly tested in a dramatic last quarter. Bristol’s pressure was rewarded when Sheedy nipped in after 66 minutes and converted his own try but Madigan was unable to find the target with a penalty attempt from halfway ten minutes later. That wasn’t the end of the drama as Bristol scrum-half Andy Uren almost got over at the death. Uren was hauled down with the line in sight and a juddering tackle by Sam Lewis on Dan Thomas dislodged the ball from the Bristol back row forward. Warriors managed to win the scrum and run down the clock for an important win. 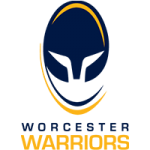 Warriors | 15 Chris Pennell, 14 Tom Howe, 13 Ben Te’o, 12 Ryan Mills (C), 11 Josh Adams, 10 Jono Lance (Weir 3), 9 Francois Hougaard, 1 Callum Black (Waller 55), 2 Niall Annett (Taufete’e 55), 3 Nick Schonert (Milasinovich 55), 4 Anton Bresler, 5 Michael Fatialofa, 6 Ted Hill, 7 Sam Lewis (Taufete’e 8-16), 8 Marco Mama. Replacements | 16 Joe Taufete’e, 17 Ethan Waller, 18 Gareth Milasinovich, 19 Pierce Phillips, 20 Carl Kirwan, 21 Michael Heaney, 22 Duncan Weir, 23 Will Butler.